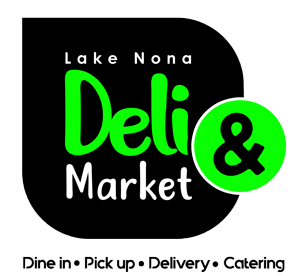 Online ordering menu for LAKE NONA DELI AND MARKET. Welcome to Lake Nona Deli and Market in Orlando, Florida. We serve pizza, sandwiches, and salads. We also serve calzones and pastas! We're located near Lake Nona and Red Lake! Order online for carryout or delivery!